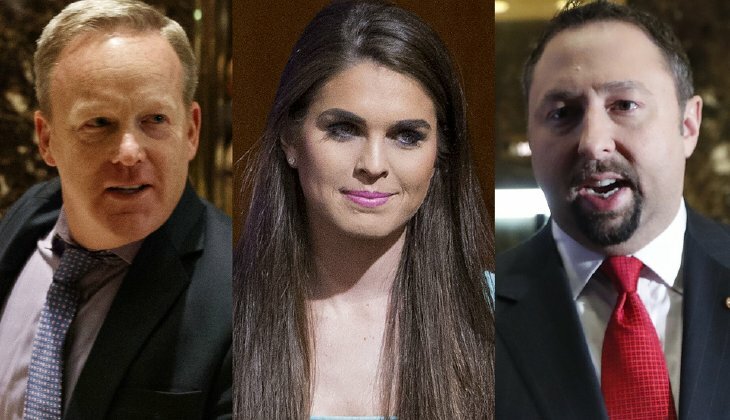 President-elect Trump named his press cabinet picks on Thursday: Sean Spicer, former RNC communications director, as press secretary and Jason Miller, former Trump campaign spokesperson, as communications director. Additionally, it was announced by Trump’s transition team that his former campaign press secretary, Hope Hicks, will become director of strategic communications. Dan Scavino, who was the director of social media for Trump’s presidential campaign, will now serve as the director of social media at the White House. Kellyanne Conway, Trump’s campaign press secretary was appointed as counselor to the president, a high administration position. Spicer has ties to incoming White House Chief of Staff Reince Priebus, who is the current Republican National Committee head. Spicer worked with Priebus during Trump’s 2016 campaign as chief strategist and communications director at the RNC. Previously, Spicer served as assistant United States trade representative for Media and Public Affairs under the George W. Bush administration. Miller also has experience in press relations, spending decades in the field. He was a senior communications advisor to Ted Cruz’s presidential campaign during the primary before joining Trump’s campaign for the general election. He also served on Rudy Giuliani’s presidential campaign in 2008, and has served as an advisor to several other Republican campaigns. Hicks also has experience dealing with the press. She joined Trump’s campaign gaining experience in press relations working for Ivanka Trump’s fashion line. As director of strategic communications, Hicks will manage the president’s media opportunities, and will be in charge of scheduling meetings for him to talk to the press. Scavino is a long time friend of Trump, first meeting him when he was only 16 years old working as a caddie at a golf course. Trump eventually bought that course, and promoted Scavino to general manager of the Trump National Golf Club. In February, Trump brought Scavino on as the social media operations director handling his social media campaign. Spicer previously reassured the press amid concerns that they would be banned from the White House briefing room, after they freaked out about not being invited to a Trump family steak dinner. NextNATO Chief Auditor In Charge Of Counterterrorism Funding Assassinated?